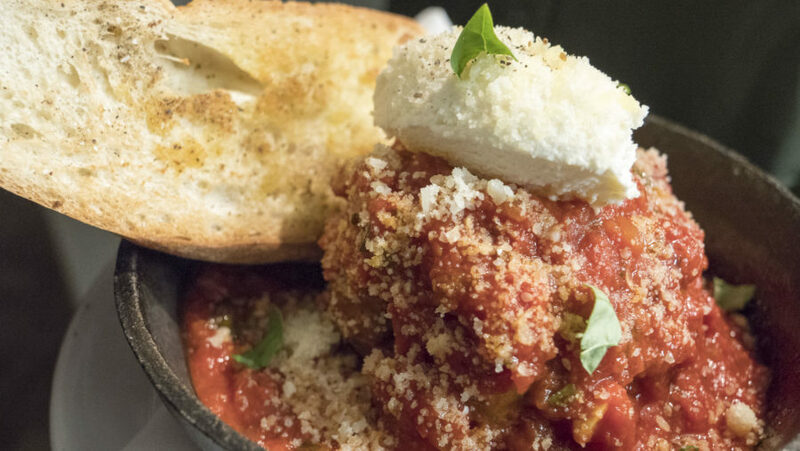 Osteria is an Italian restaurant from Chefs Fabio Viviani and Jonathon Stranger in the Nichols Hills Plaza. In essence, Jonathon Stranger described Osteria for me on Uncovering Oklahoma as being a simple, casual experience that’s enhanced with great service and fresh, in-house pasta. I personally got to try the Squid Ink Garganelli, which is what Jonathon is holding in the video thumbnail. I enjoyed it. This was one of those items that I wouldn’t have ordered, but I’m glad Jonathon had me try it. Next time I visit, I plan to get that meatball. That looks really good. This video is the first in a somewhat mini-series theme of weekly videos for date night destinations. I already filmed next week’s video earlier this week, which I plan to edit tomorrow along with an artist statement that I shot Wednesday.